This 40 foot long sculpture was designed in collaboration with the architects at Office of McFarlane Biggar for their client’s Station Square Tower project. The design brief called for us to riff on a rectangular motif that is a distinctive detail of the buildings exterior architecture. Our design employed a multitude of bleached bamboo lattice elements punctuated with sections of bronzed aluminum lattice. 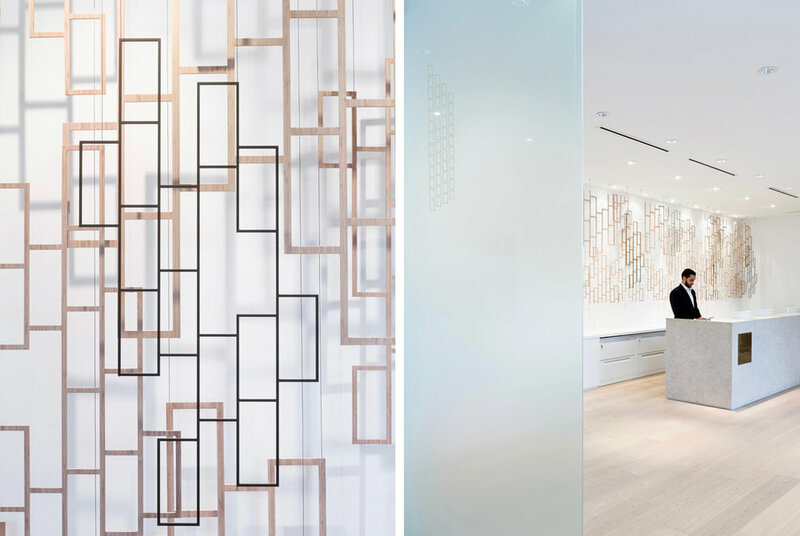 The finished sculpture combines visual depth and complexity with rich materials and a feeling of lightness that suits Office of McFarlane Biggar’s minimal interior perfectly.